Are we witnessing the birth of a slow photo movement similar to what we’ve seen with food? Startup PicPlum hopes so. PicPlum is part of the summer 2011 class at startup incubator Y Combinator, and their company specializes in the delivery of high quality photos in small batches, just 15 at a time. PicPlum has taken aim at parents, who want to share photo prints of their kids with family members and relatives. And while we’ve all grown used to all-you-can-eat photo hosting online, PicPlum hopes to rekindle the joy and excitement that comes with sharing photos you can hold in your hand. Sharing is caring, after all. 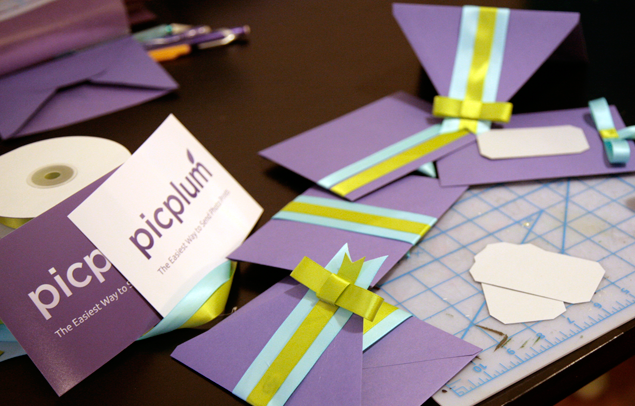 To create the emotional experience PicPlum has invested significant time and money into its product packaging. Co-founder Paul Stamatiou says company’s first hire was designer Stephanie Janning, whose background includes logo and graphic design work for corporate clients, musical acts, and typographic design work. And while PicPlum is more expensive than competitors, at a little more than $.50 such as ShutterFly or SnapFish, Stamatiou says that they use a lightjet printing technique that results in much higher quality prints. PicPlum has a free offer for any readers of The Next Web who would like to try the service out for themselves. The first 100 readers who visit the link below will be able to send out their first batch of 15 photos to two recipients free.